AMHERST, Mass. – Computational biophysicist Jianhan Chen at the University of Massachusetts Amherst recently received a four-year, $600,000 grant from the National Science Foundation to study a newly recognized class of proteins with highly flexible three-dimensional (3D) structural properties, in particular some extra-floppy ones called intrinsically disordered proteins (IDPs). Proteins are macromolecules that control nearly all aspects of cell function from response to external stimuli to control of cell cycle and cell fate decisions, Chen explains. He adds that IDPs are unusual because while most proteins adopt stable 3D structures to do their work in the cell, IDPs instead remain structurally disordered, that is, extremely flexible. They are believed to account for about one-third of all eukaryotic proteins and are key components of cellular signaling and regulatory networks. Scientists now believe that by staying flexible, IDPs have an advantage in interacting with other proteins and each other, perhaps because the floppy state lets them respond faster than a more rigid structure, or lets them interact with a wider variety of molecules, or both, Chen says. His project will develop computational methods for simulating flexible proteins and their interactions to explore the fundamental principles of how their structural disorder affects function. Because traditional high-resolution structural determination techniques such as X-ray crystallography and nuclear magnetic resonance (NMR) are "helpless" in describing these floppy states, he adds, computer modeling and molecular simulation are required to describe these states. Chen says that for this study, physics-based approaches are particularly promising. "We know what the proteins are made of, their physical properties and how each component should behave. We quantitatively describe all types of atoms within the protein molecule and in its environment, then we can put them together and simulate how all atoms within the system interact and fluctuate collectively to determine the protein conformational properties." He adds, "We'll generate an ensemble of conformations and study how they may be perturbed by binding, by changes in solution conditions, and by disease-associated mutations. Even if it's floppy and not stable, the protein should behave in a way that follows the laws of physics." New computational tools developed by the Chen lab will be made available to the broad scientific community and can be applied to study biomolecular dynamics and interactions in general. 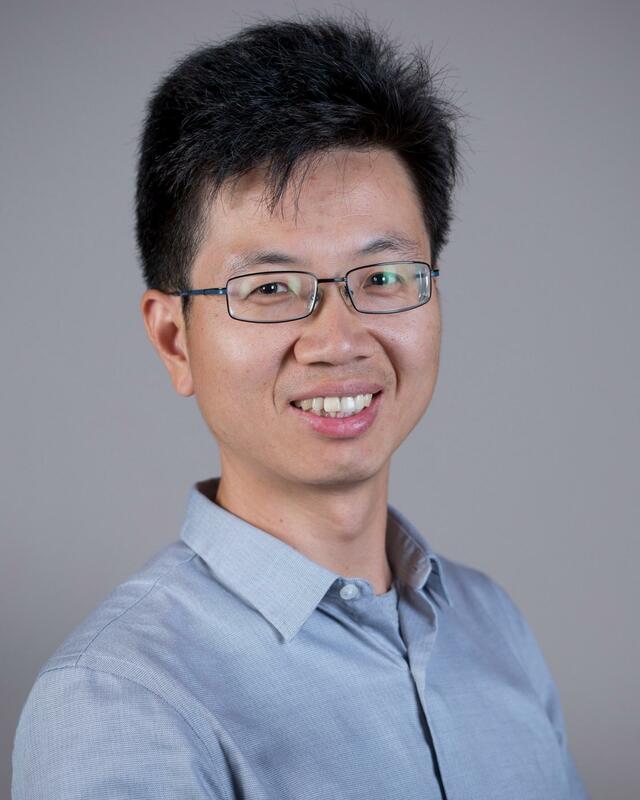 Research partners at St. Jude's Children's Research Hospital and at Kansas State University in Manhattan will test the simulations generated by Chen and colleagues to provide validation and feedback on how well they work, he says. In addition to training graduate and undergraduate students, Chen intends to contribute to various outreach programs that engage women and other under-represented minorities in STEM fields. He also plans to work with UMass Amherst chemistry professor Craig Martin to expand an informal science education project Martin leads, known as the "Molecular Playground," an interactive molecular display for public spaces such as schools, museums, shopping malls and airports. Chen will add dynamic proteins to its molecular repertoire, which until now has included only the less flexible sort. He says, "I've always been interested in protein dynamics and computation so this work combines my key interests. In four years I definitely hope to be able to share some new methods and uncover new principles about how these very flexible proteins work and to offer new molecular-level insights on their role in biology and in human disease." This project is supported by NSF's Molecular Biophysics Cluster in the Division of Molecular and Cellular Biosciences, with partial co-funding from the Chemical Theory, Models and Computational methods Program in the Division of Chemistry. Chen is a Professor of Chemistry as well as Biochemistry & Molecular Biology and a member of UMass Amherst's Institute of Applied Life Sciences Models to Medicine center.